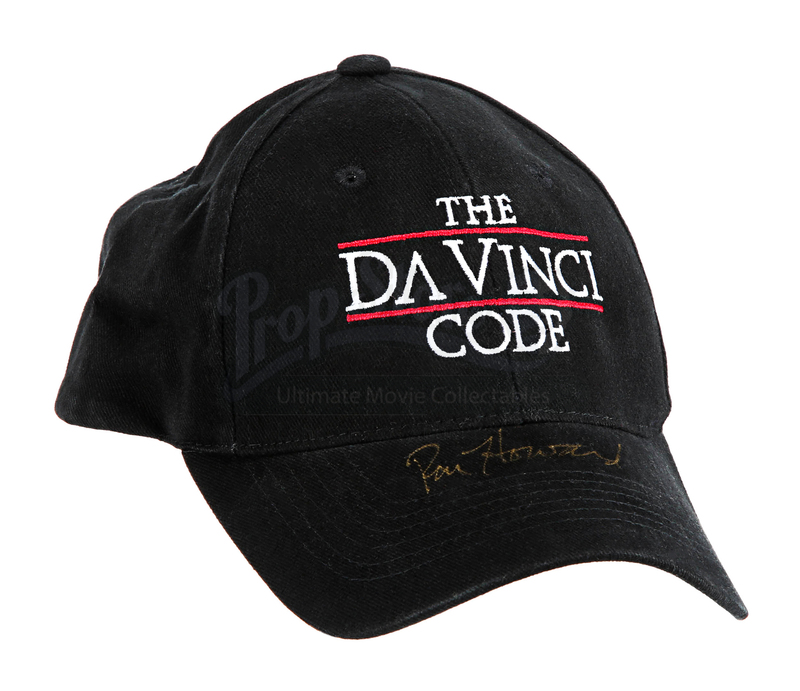 A crew cap, autographed by Ron Howard, from his 2006 mystery thriller The Da Vinci Code, based on the eponymous novel. 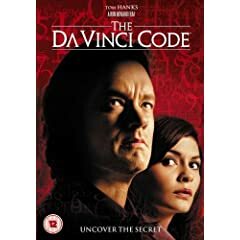 Following the death of a curator at the Louvre art museum, Harvard lecturer Robert Langdon (Tom Hanks) becomes the primary lead in the murder inquiry. A lot more is at work, however, as Langdon is soon dragged into a spiralling conspiracy, all tied to the legends of the Holy Grail. 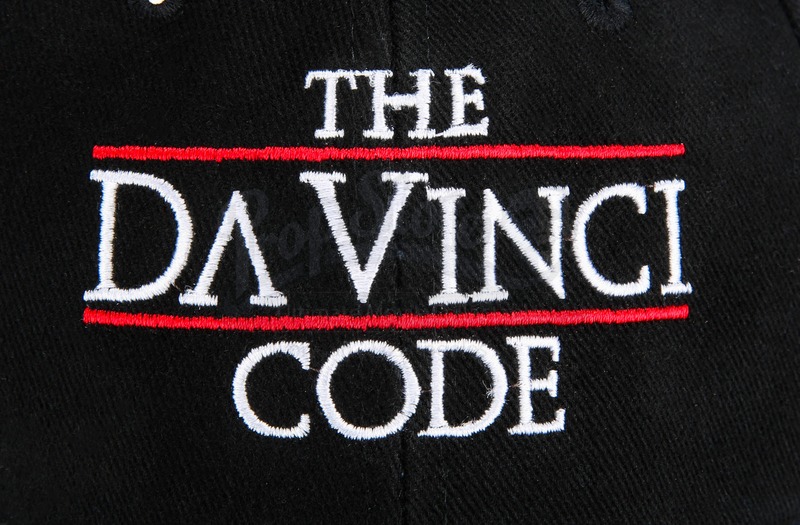 Caps such as this one were gifted to members of the crew. 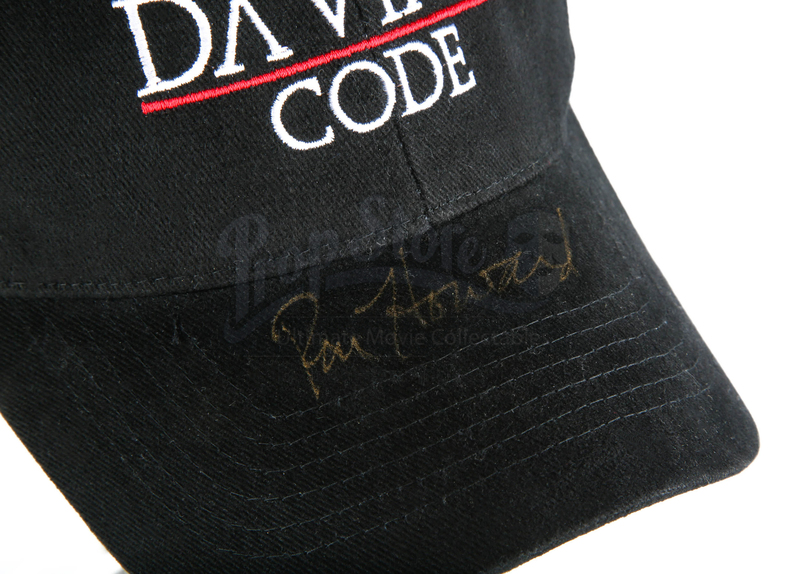 This one has been personally autographed across the peak in gold pen by Ron Howard, the film’s Oscar®-winning director. The cap is black and made of cotton with the title of the film stitched onto the front and it is labelled ‘One Size Fits All (59cm)’ on the manufacturer’s label. The strap is made of Velcro® and can be adjusted. The item is in a very good condition. Materials: Cotton, Man-Made Woven Fibres, Ferrous Metals.